CALL US AT 1-678-324-6226 OR 1-678-499-5043. 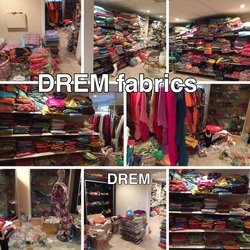 ﻿﻿﻿African swiss lace wholesale a subsidiary of DREM fabrics and accessories, Specialist in all kinds of African lace fabrics. We carries a wide range of African lace fabrics which includes Swiss voile laces, organza laces, French laces, African George lace, tulle laces, white laces, sequins laces, quipure laces, cord laces, African handcut laces, We carries a very large stock of West African lace fabrics which includes Nigerian fabrics, Ghanian fabrics, Senegal fabrics, Ghambia fabrics, Kenya, Liberia and so on.. We receive new designs weekly so please visit us regularly to browse through our latest West African fabrics, textiles and voile lace products at amazingly low prices. FREE SHIPPING ON ORDER $300 AND UP WITHIN USA﻿. ﻿FREE SHIPPING TO CANADA ON ORDER $500 AND UP. ALL ORDER SHIP OUT WITHIN 24 HOURS. ALSO VISIT US AT OUR MAIN WEBSITE FOR MORE PRODUCTS.. Exclusive and high quality African laces perfect for all kinds of occasions. Our African laces are made of high quality materials and workmanship. GUIPURE LACE / CORD LACE. We carries a wide range of classy and highest quality guipure lace or cord lace. Our guipure or cord lace is made out of finest materials and best workmanship. Best choice for both celebrants and special guest. Beautiful fabrics that is appropriate for Aso ebi. 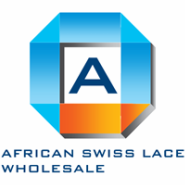 We carries a wide range of Unique and Classy organza laces, celebrants choice best for all kinds of occasions..
Our swiss voile laces are highest quality voile laces which are hand picked by our African lace specialist from top swiss lace manufacturers.